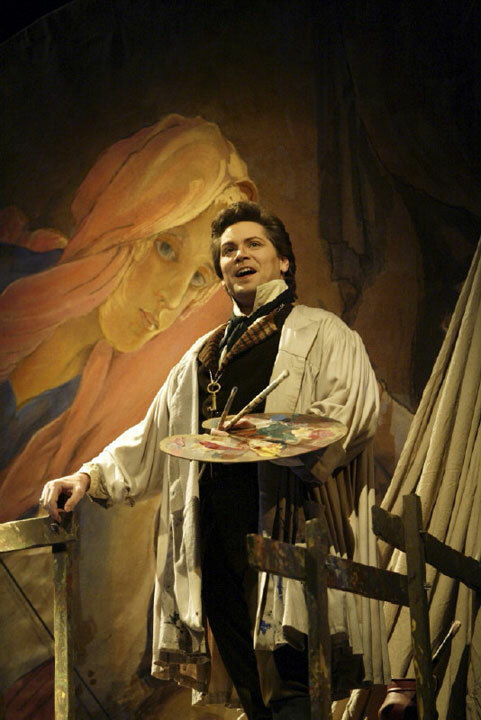 Internationally acclaimed American tenor, Stephen Mark Brown, developed his vocal technique and zest for acting under the famous operatic duo Nicola Rossi Lemeni and Virginia Zeani. Never content with the status quo in opera, he has constantly pushed the bounds of repertoire and dramatic effect with his roles. The expert technique gained from his illustrious teachers, combined with his natural physical ease, has given him the opportunity to undertake a wide repertoire and catch the eye of the most important conductors, directors, and famous opera singers of the world. He has sung in many of the most important operatic venues across the United States, Canada, Chile, Brazil, Venezuela and Argentina, as well as the major theaters throughout Italy, France, Belgium, Spain, Portugal, Finland, Switzerland, Greece and Turkey. From the beginning of his career he has been highly visible in his collaborations with the late Luciano Pavarotti on Pavarotti Plus, Emmy winning performances on “Live from Lincoln Center” from New York City Opera, live broadcasts in Europe of Manon Lescaut with Karita Mattila, and the opening of the season at Milan’s La Scala with Maestro Riccardo Muti. Welcome to my official website. Make sure to check out my videos and photos via the other tabs, and feel free to leave a message on the contact page! "Soon, this will be the tenor they all talk about." "I want you all to know, what this young tenor does is a miracle."